Chef Brad Sorenson drew on two Ethiopian food staples to create a menu fit for the fictional African nation. Alamo Drafthouse is letting Black Panther fans eat like kings and queens thanks to its heroic themed menu. Those familiar with the world of Wakanda will know that the technologically advanced and influential African nation—led by King T’Challa, otherwise known as Black Panther—isn’t real. But the hype around the Marvel film, which is directed by award winner Ryan Coogler (Fruitvale Station) and stars Chadwick Boseman, Lupita Nyong'o, and Angela Bassett, is. Earlier this week, the Alamo theater franchise revealed that the highly anticipated upcoming movie had pre-sold tickets to its scheduled screenings faster than any comic book movie before it, including top pre-sellers Guardians of the Galaxy Vol. 2 and Wonder Woman. If you managed to get tickets to one of these sold-out Alamo screenings taking place across the country, you will now have the privilege of dining like Wakandan royalty as you watch. 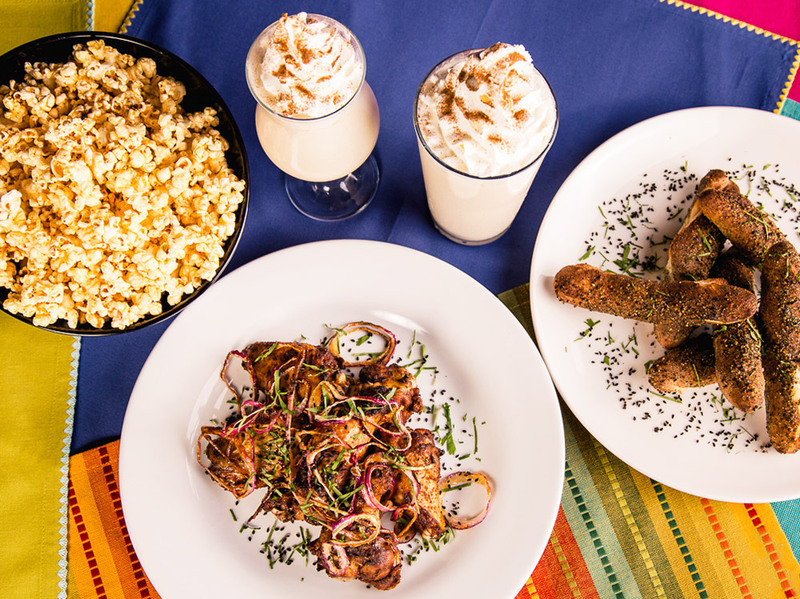 Chef Brad Sorenson was behind the theater chain’s Ethiopian-inspired menu, a combination of regional favorites and Alamo staples designed to bring the flavors of the secret and fictional African nation to life. As fans follow T’Challa’s rise to the throne (and to becoming one of the world’s most powerful heroes), viewers will be able to enjoy dishes that pull from two culinary staples of the Wakanda-adjacent nation: berbere spice and niter kibbeh. 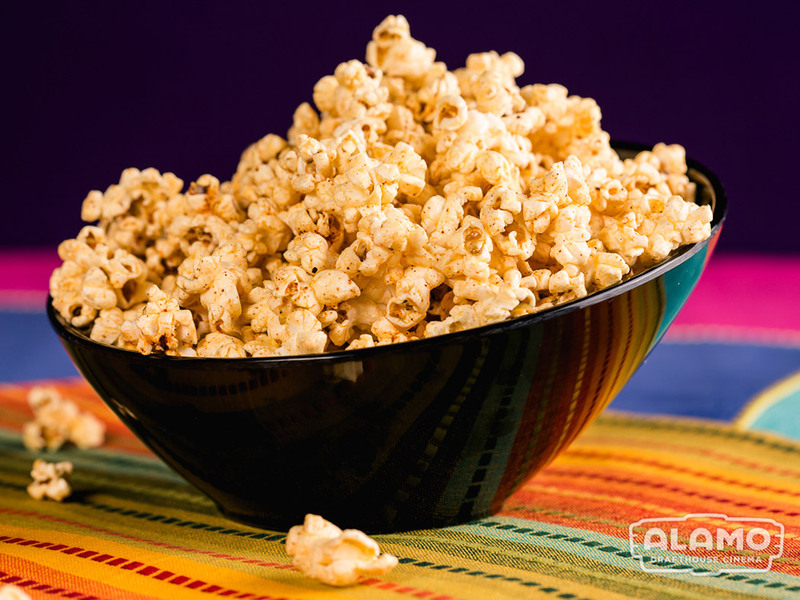 You’ll start your viewing with Niter Kibbeh Popcorn, or freshly popped corn tossed in spice butter, before indulging in the Waadii Berbere Spiced Wings, a Wakandan-twist on hot wings that are roasted (instead of fried) and rubbed in a berbere spice mix. 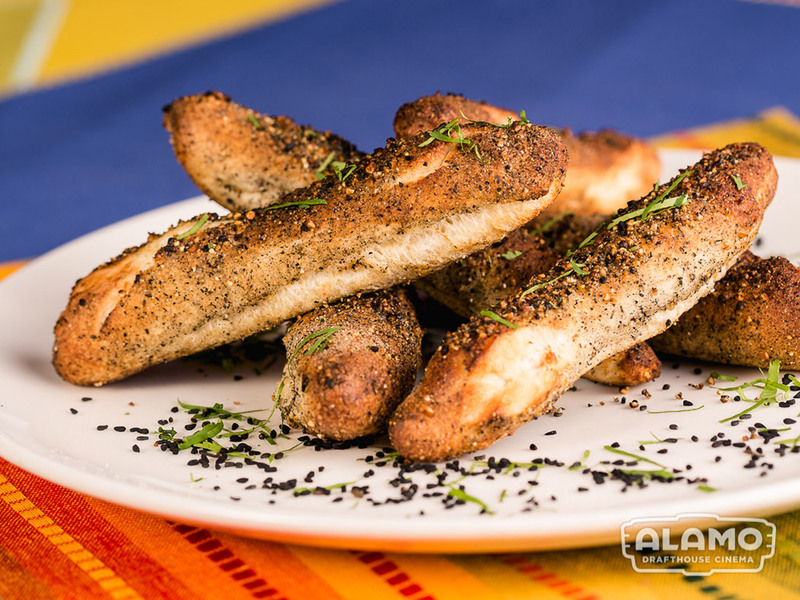 You’ll round out your meal with Dabo Kolo, Alamo’s take on Ethiopian barley bread covered in hearty roasted barley seasoning, sprinkled with seeds and spices from the region, and served with sides of niter kibbeh and nigella-gallic yogurt. 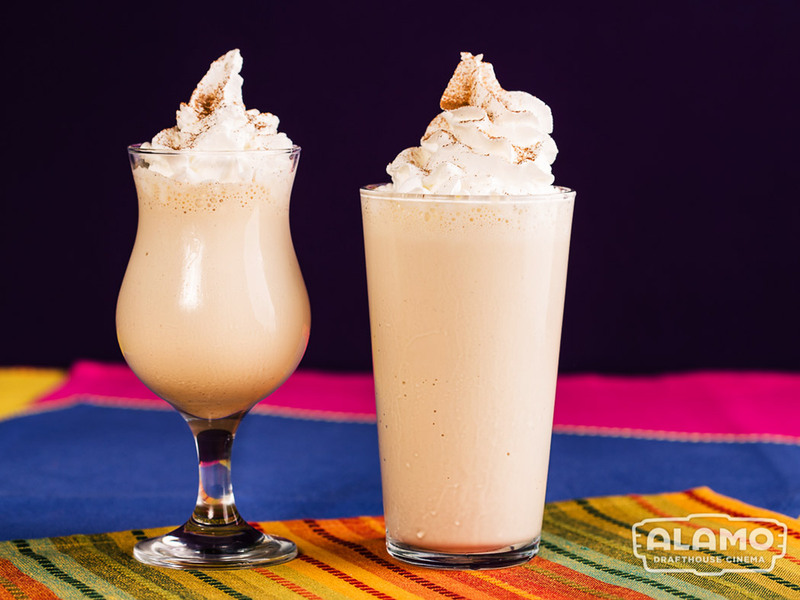 And it wouldn’t be an Alamo-themed menu without a special drink, which for Black Panther is the African Coffee and Ginger Spiced Shake. Vanilla soft serve blends with African coffee, ginger, cinnamon and berbere spice, with an added boozy twist for a few dollars more. 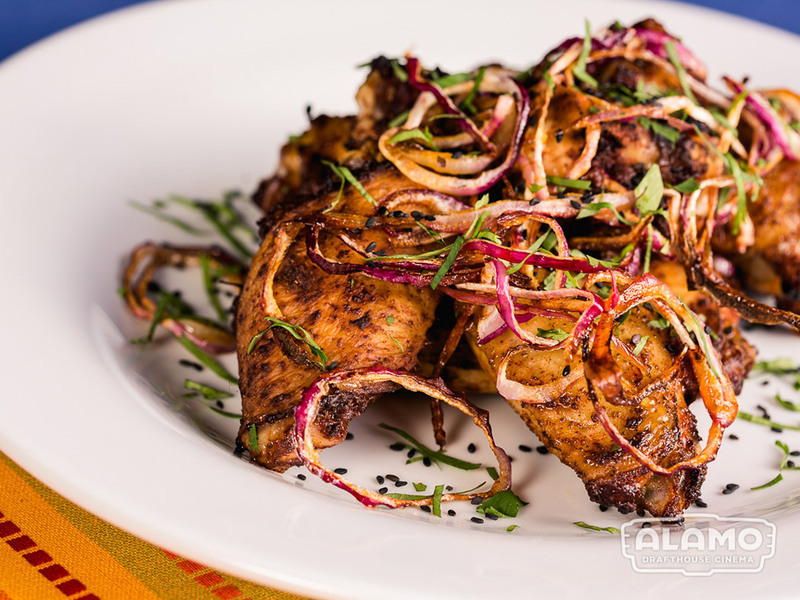 This special and limited time Alamo Drafthouse Black Panther menu is being offered at participating locations around the country, though item availability and prices may be different. If you want to start your Black Panther viewing party before the film’s release on February 16, you can stop by any participating Alamo Drafthouse location and enjoy these menu items now.